It's the best idea for music fans since MTV (when MTV was actually about music, that is). 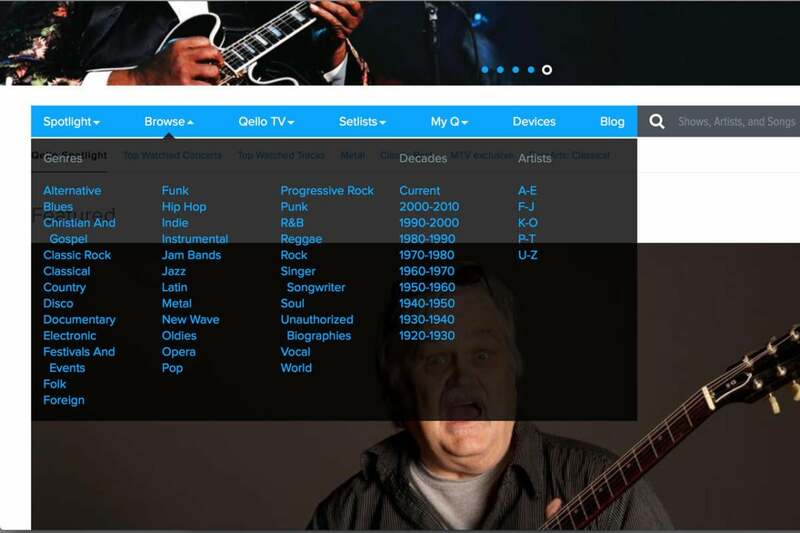 Similar to when MTV launched all-day, all-night music videos on cable TV back in the 80s, Qello Concerts (pronounced kwel-oh) arrived on the internet in 2010 to stream full-length live concert recordings and music documentaries across all genres, from classic rock to classical music, hip-hop, punk, and jazz. The service is offering a sale for Father’s Day. Annual subscriptions cost $69.99, but you can score a $20 discount until Father’s Day. The service also offers shorter-term subscriptions and a 7-day free trial if you just want to dip your toe in. You can also subscribe via Amazon Channels for $7.99 per month with no long-term commitment. Each individual concert or documentary is divided up into easy-to-access songs or chapters. Users can click on whatever song they like, and it loads and plays immediately. Frequently a song begins with some onstage chatter, and for those who like to get to the music, it’s easy to scrub backward or forward within the song. The response time is excellent, there is little to no buffering or lagging, and the playback and sound quality is excellent. Qello's alphabetical list helps you find all of the service's content offerings. The most abundant genre of music seems to be good ol’ album-oriented rock, and the most popular concerts during the time I was playing around on the site were given by Queen and Billy Joel. The Rock category alone offers more than 700 shows, starting, in alphabetical order, with three AC/DC concerts and seven Alice Cooper shows to choose from. Most videos are assigned several different genres, so they show up in multiple lists. If you’re not sure whether Sublime is considered alternative, reggae, punk, or rock, do not fret: it appears in all four categories. You’ll find more than 30 genre categories, including opera. The disco category is probably the skimpiest, with only eight videos, including music from the Bee Gees and Chic. I’m not sure that Barry White or Isaac Hayes are really of the disco era, but I admire Qello for even bothering to give this marginalized genre its own category. If you’re extremely literal and simply want to look at everything, the site even offers an alphabetical list. Jazz, on the other hand, includes more than 100 videos, including the excellent theatrically released documentaries Anita O’Day: The Life of a Jazz Singer (2007) and Charles Mingus: Triumph of the Underdog (1998), as well as Tony Bennett’s celebrated performance on MTV’s Unplugged. In addition to other theatrical films and Unplugged episodes, you’ll find dozens of entries from the British doucumentary TV series Classic Albums: dissections of albums including Nirvana’s Nevermind, Fleetwood Mac’s Rumors, Jimi Hendrix’s Electric Ladyland, and Jay-Z’s Reasonable Doubt, and many others. You might quibble with sone of Qello's classification choices: Issac Hayes in Disco? Newer bands on the service include Imagine Dragons, Florence and the Machine, and Cage the Elephant. Users can sort by decades as well as genres, although the years past 2010 are not yet represented. 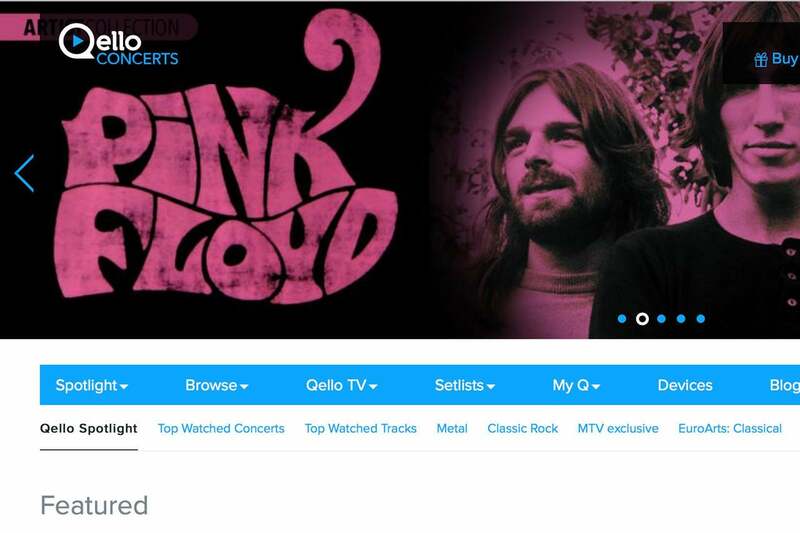 The one group of music fans who won’t find much to listen to on Qello are those aficionados of the Top 40 pop charts. Those folks might want to check out Tidal. I confess I was a little disappointed to see that some of my favorites were not here, specifically Nirvana’s uncanny Unplugged performance, the Ramones concert video Ramones: It’s Alive 1974-1996, and the documentary We Jam Econo: The Story of the Minutemen, not to mention essential concert movies like Gimme Shelter and Stop Making Sense. But there’s so much that is here. It’s such fun clicking around, even if you never quite know what to expect. It can be very surprising to learn that some of your favorite bands or songs may not be so well represented in a live setting, or, more specifically, in a recording of a live setting. Then, bands you might not expect to shine, will shine. I started in hip-hop, clicking on a resplendent Alicia Keys video (see above), and then moving to other artists. Eminem proved a bit sloppy during a Dr. Dre show, Nas sounded like he had laryngitis, and the Wu-Tang Clan were excessively noisy. But Tupac Shakur was masterful, even working on a stage full of distractions. And Snoop Dogg seems to put on a great show, far more relaxed than his peers. Punk fans will get a thrill from Iggy Pop and the Stooges in an electrictrifying live performance. In punk, I was surprised to see Bad Religion doing an in-store gig at a Guitar Center, but sounding pretty incredible. The New York Dolls were pretty ragged, but the Stooges and Green Day electrified. In Alternative, the Smashing Pumpkins seemed to be having an off night, but Sonic Youth sounded alarmingly beautiful. The Pixies offer an acoustic show that didn’t click for me, but a powerful Nirvana concert is definitely a ferocious highlight. I also found a heart-rending Jeff Buckley show from the 1990s. In Rock, I checked out a show by the Bay Area’s Journey, but it turned out to be a 2001 performance with Steve Augeri providing lead vocals. Even so, the show sounded exuberant. Martin Scorsese’s documentary No Direction Home: Bob Dylan is here, as well as Dylan’s MTV Unplugged performance. Deadheads won’t find any vintage Grateful Dead shows , but there is a Classic Albums documentary, the feature documentary Festival Express (2003), and a Jerry Garcia tribute show from 2013. Pink Floyd is represented by two Classic Albums docs, covering the essential The Dark Side of the Moon and Wish You Were Here records, a documentary on the late Syd Barrett, and a couple of brief, excellent clips from a 1990 show. The Beach Boys sound absolutely great at a 50th anniversary show, especially on their new song “That’s Why God Made the Radio.” And I was thrilled to find Cheap Trick at Budokan, a show that was the basis for one of the undisputed greatest live albums of all time. For Pink Floyd fans, the documentaries on the making of Dark Side of the Moon and Wish You Were Here are not to be missed. Metal offers a selection of music ranging from guilty-pleasure hair-metal bands like Cinderella to edgier stuff like Slayer and Motorhead, plus Def Leppard with their incredible one-armed drummer Rick Allen, and Alice in Chains’ beautiful MTV Unplugged show. 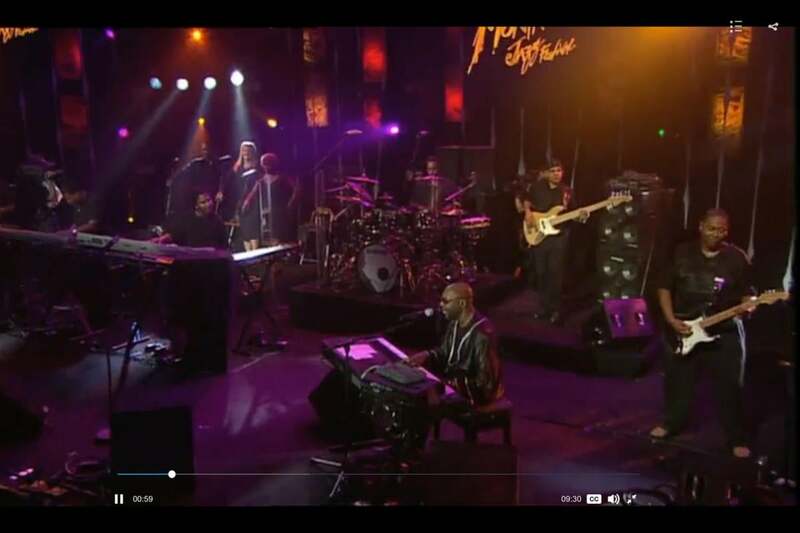 The Soul category featured a vintage Marvin Gaye concert that showed its age, as well as an Isaac Hayes show, which did not. As for the downsides, there doesn’t seem to be any indication of new or newly added concerts, although there are “featured” concerts on the home page. Moreover, I found the site’s browser format a bit flippy. The top menu insists on continually popping down into view as you scroll up and down to check out song lists. It’s a little distracting and can get aggravating if you’re browsing several artists and assembling a playlist. But once you choose a song, full-screen mode works great and you’re left with a clear picture. The service also has a Roku app available for those who simply wish to avoid the computer screen altogether and go straight to the TV. 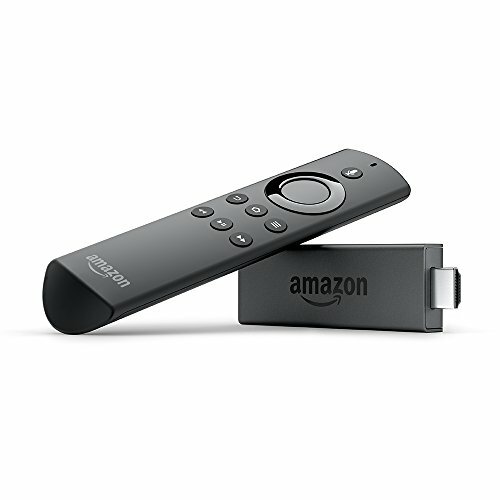 There are also apps for Apple TV; Android TV; Amazon Fire TV; Sony Bravia smart TVs and Blu-ray players; and Amazon, Android, iOS, and even Windows smartphones and tablets. Perhaps Qello’s greatest asset is that it provides visuals that are missing in services like iTunes, Spotify, and Pandora. It’s invigorating to see, as well as hear, musicians at their craft, creating music in a live setting, losing themselves, getting carried away, and oozing passion and energy. Correction: This story was updated to reflect that Qello was established in 2010. 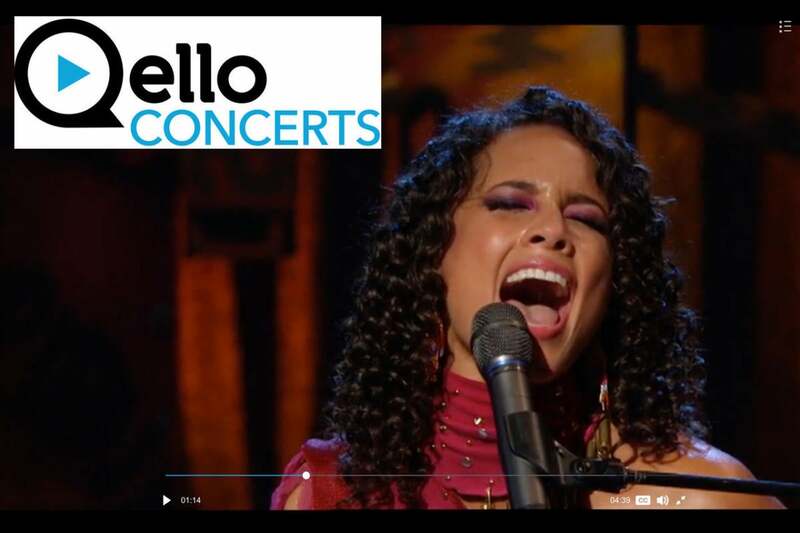 Qello offers a wide range and an astonishing number of concerts to stream, with excellent audio quality, the ability to build playlists, and many interesting features.